Gran Via Corts Catalanes, 605 , 8007 Barcelona, Spain. 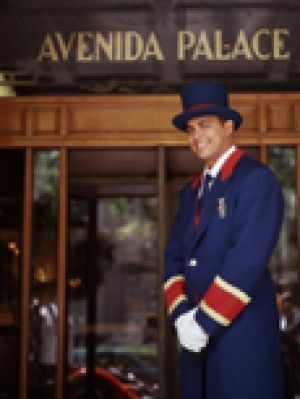 The Hotel Avenida Palace, a classic building built on 1952, is located close to Plaza Catalunya and just a short distance to Barrio Gótico, Cathedral and Gaudí monuments. It is near the shops business and the Clinic Hospital. It offers 151 well-equipped rooms with television, phone, air-conditioning and bathroom. Its other facilities include Massage and Beauty salon. 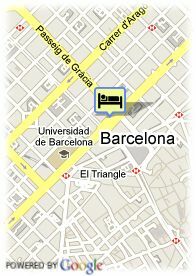 Paid public parking near the hotel (covered) (20.00 €) (1.00 km). For older children and adults 33.00 € for each additional bed is charged.